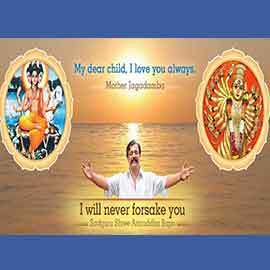 The discourses of Dr. Shree Aniruddha Dhairyadhar Joshi (Sadguru Shree Aniruddha Bapu) are in themselves, an immense ocean, an inexhaustible treasure of values full with bhakti and love. As we savoured the joy of immersing ourselves in this infinite ocean, there flowed in, with love and in natural ease, pearls of virtuous thought, into the cups of our palms, the palms of His Shraddhavaan friends. Now we wish to share this joy with every Shraddhavaan and so this loving endeavour. Should we instil these virtuous thoughts in our life, adorn our life with these pearls; they will enrich our life abundantly and in the true sense. A fact beyond doubt! 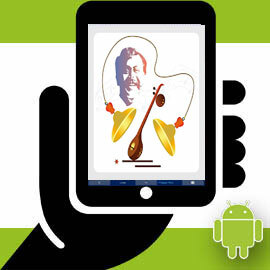 This is an official website on information about Sadguru Shree Aniruddha Bapu (Dr. Aniruddha D. Joshi). 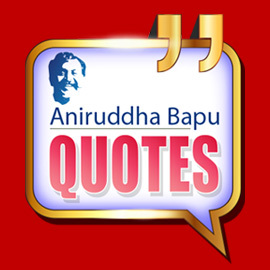 It talks about Aniruddha's Principles, Thursday Discourse and Experiences. It also has a gallery of images, videos and wallpapers. 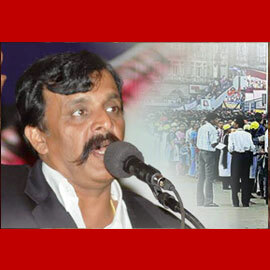 This is an official website of Aniruddha's Academy of Disaster Management. It talks about AADM mission, different trainings and workshops conducted, various educational and environmental projects. 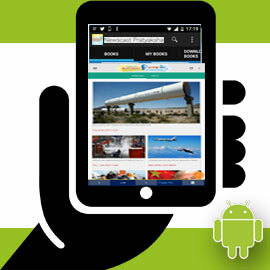 Also it gives latest updates on disasters happening all over the world. It also has a gallery of photos and videos. This is a website used to live stream the events like Shree Harigurugram Satsang, Sunday English upasana. The contents of this website are based on a special lecture on ‘Self-Health’ that Dr. Aniruddha Dhairyadhar Joshi – MD (Med) gave on 13th December 2014. It gives updates on health related information and useful tools like BMI calculator. 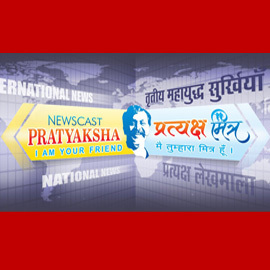 Newscast Pratyaksha is a unique daily news website that specifically focuses on analysis and reports on various international geopolitical events and happenings across the continents and regions of Indian Subcontinent, Asia Pacific, Middle East, North America, Latin America, Europe, Africa, Australasia and Central Asia. They operate in two languages viz., English and Hindi. Newscast Pratyaksha gives news published in Pratyaksha Daily (Marathi newspaper). 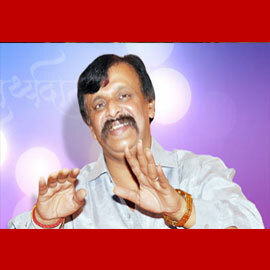 This is an official blog of Samirsinh Dattopadhye on 'life science' laid by Sadguru Aniruddha Bapu. It covers world politics, socio-economic issues, cinema and sports. 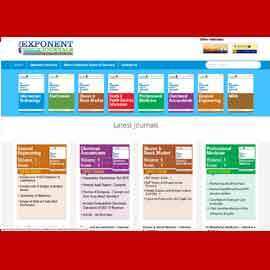 This is an official site of the exponent group of journals which cover following topics like Information Technology, Electronics, Shares & Stock market, Health & health services information, Professional medicine, Chartered Accountant, MBA, and General Engineering. The readers can read about the Key developments, latest happenings in the specific field to empower themselves. 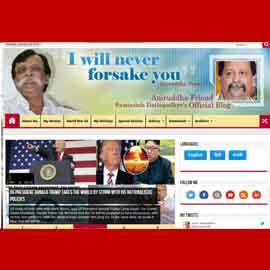 This is an official website of "Aanjaneya Publications" publishing house. There are various products available for online shopping like Audio CD/DVDs, books, eBooks, e-magazines and magazines. This is an official website of Mother Chandika spiritual Currency which can be used to apply, recommend and approve Chandika spiritual Currency which is given as a reward for various devotion & devotional services activities. This is an official website of Krupasindhu magazine which aims to have meaningful content capable of having positive impact on its readers. Krupasindhu, a Quadra lingual magazine, is published in Marathi, English, Hindi and Gujarati by Dattaguru Publications. This website provides information about Avadhoot Chintan Utsav celebrated by Shree Aniruddha Upasana Foundation. 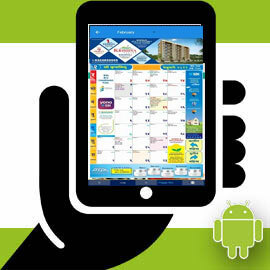 It provides information about the events celebrated as part of this festival. It also has a gallery of photos and videos. This website provides information about the Charkha project managed by Shree Aniruddha Upasana Foundation. It explains the concept, vision behind the project and provides information about Charkha camps. It also has a gallery of photos and videos.